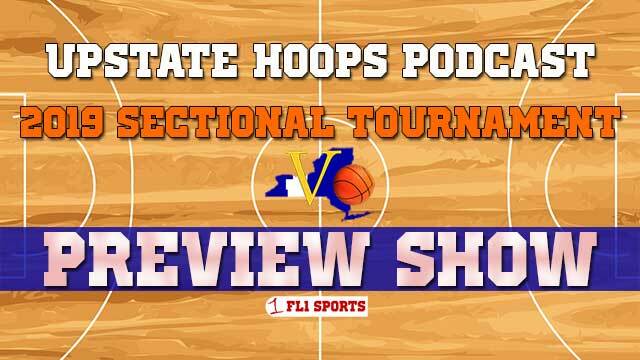 Join Jim Sinicropi, Matt Verkey, Zac Young and Kevin Korzeniewski for FL1 Sports’ special Sectional Preview extended edition of the Upstate Hoops Podcast on FingerLakes1.TV and YouTube. FL1 Sports 2016-17 Season Award winners will be revealed and then a breakdown of all the boys and girls Sectional brackets for each classification in Section V. Also, our bold predictions for some Wayne-Finger Lakes teams, coaches and players as the postseason gets underway later this week. Join Jim Sinicropi, Matt Verkey, Mike Alessio and Dave Barnick as we recap another great season of Wayne-Finger Lakes high school basketball, announce our FL1 Sports All-W-FL teams and debut our season in-review highlight video at the end of the show.